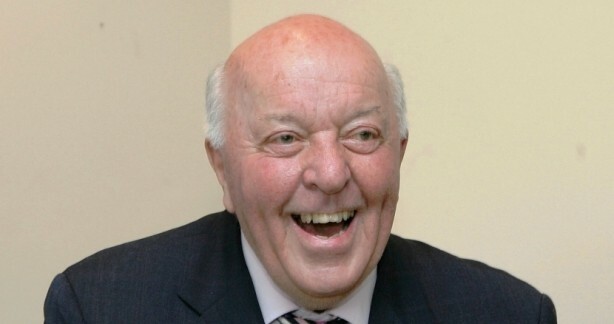 May 28 - Don Anthony, who has died aged 83, was no ordinary Olympian. He threw the hammer for Great Britain at the 1956 Games in Melbourne and was an enthusiastic member of the "Hammer Circle" throughout the decade. In Coronation Year he was AAAs champion and also represented England at the Empire and Commonwealth Games in 1954 and 1958. He was introduced to the sport of volleyball whilst still an active athlete and founded the Volleyball Association of England in 1955. He sat on the National Olympic Committee as a representative of his sport for many years. To this day, Volleyball England's Hall of Fame bears his name. Indeed to mention his name at last year's Olympic test events was to invite unsolicited but glowing testimonials from coaches and players alike. As a young man, he was one of the first British students to visit what is now the German Sports University in Cologne. His own teaching style graced many places of learning from Manchester and Loughborough to Avery Hill College in South London and later as visiting professor of the University of the Eastern Mediterranean. His work outside the formal classroom was just as important. He travelled the world to promote peace and Olympism through UNESCO and Olympic Solidarity. He became great friends with Philip Noel- Baker, a fellow Olympian who won the Nobel Peace Prize. Noel- Baker shared Don's ideals, and Don was the natural choice as his biographer. The book was appropriately entitled "Man of Sport, Man of Peace." As a historian, he uncovered much of Britain's early Olympic heritage. He introduced enthusiasts from the Chipping Campden "Olimpick" Games to the Olympic fold and also ensured that William Penny Brookes' Olympian Games in Much Wenlock received their rightful place. In 1994 he welcomed Juan Antonio Samaranch to Much Wenlock to mark the centenary of the IOC. A tree was planted that day. It inspired his idea that seedlings from Much Wenlock be planted at the Olympic Park. 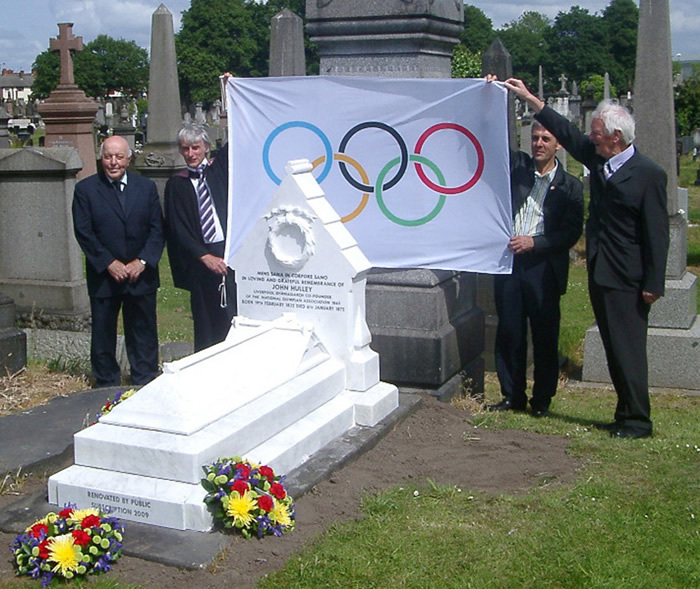 Don (pictured above far left) also championed the role of Liverpool philanthropist John Hulley in the establishment of the National Olympian Games, held for the first time in London in 1866. Don's three volume compendium "Minds Bodies and Souls" remains required reading for any aspiring student of Olympic history. It was down to Don Anthony that the British Olympic Association (BOA) appointed Kevin Whitney as the first official artist at an Olympic Games in 1984 and he encouraged many others with lectures at the International Olympic Academy in Olympia. A moment of silence has been observed there this week to recognise his work. In 1982 he led the inaugural National Olympic Academy in London. As a trustee of the British Olympic Foundation, he was a driving force in its development from a single day event to an annual highlight of the British Olympic calendar. More recently, he worked closely with Baron Pierre de Coubertin's Great nephew Antoine de Navacelle in the establishment of the Coubertin awards which combined sport with the world of business ethics. In 2007, he received the IOC award for "Sport and Promotion of Olympism". When he received his award from BOA President HRH The Princess Royal he said modestly: "I could not strive for this award as I did not know of its existence. It is therefore a complete surprise to me." At the time BOA chairman Lord Moynihan offered his own tribute. 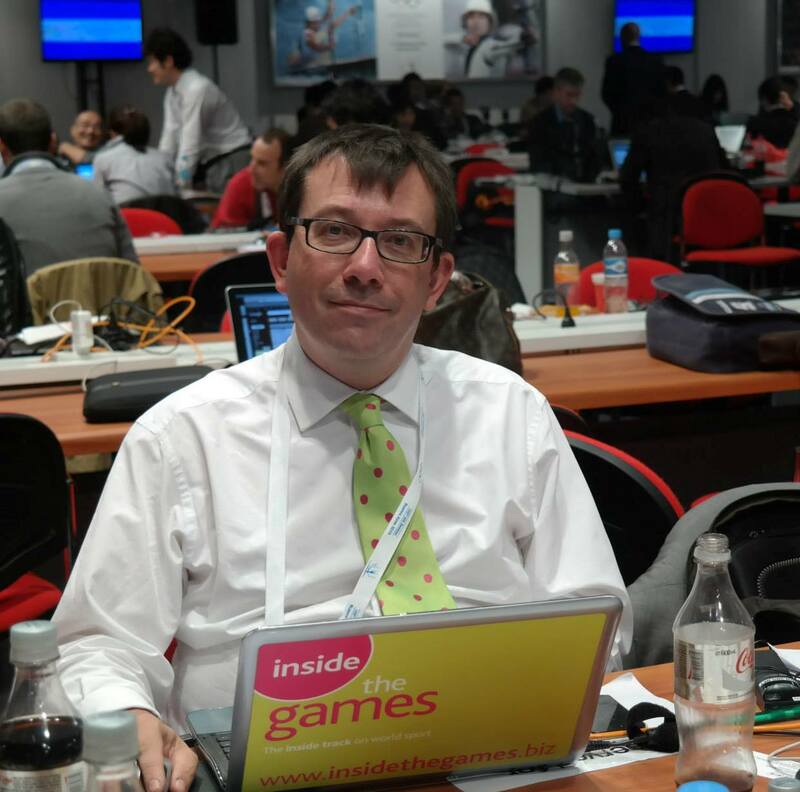 "He has dedicated his entire life to the Olympic movement, not only through his own sporting career but also through his profile as an internationally recognised sports historian, teacher and writer," said Moynihan. Last year he was made an MBE. It was particularly appropriate that The Queen should perform the investiture as Her Majesty is patron of the BOA. The Olympic world is a poorer place for his passing.